The Wolf of Wall Street, The Big Short, Boiler Room, and Wall Street, what do they all have in common? An interesting story about finance that features a male lead. While these are works of fiction or loosely based off a true story, they did get one thing right – the lack of women in financial leadership roles. According to the World Economic Forum’s Global Gender Gap Report, females make up 46 percent of financial services employees, but executives? Less than 15 percent. “Female talent remains one of the most underutilized business resources,” said the report. Why is this? We’ll explore that question and highlight some of the women in fintech who are changing the narrative. HSBC Commercial Banking is implementing programs that encourage and celebrate gender diversity in the workplace. With women making up less than 50 percent of the financial services field and even less than one third of the fintech field, HSBC is addressing this issue with their “Women on the Rise” group. The group helps create a community for networking, education, and mentoring that can help women take the next step in their career. “This initiative is important because gender diversity is a key catalyst for innovation and impact. We’re hopeful that this program will encourage positive change so that more women are able to realize their potential within the industry,” said Martin Richards, US head, corporate banking at HSBC. In a recent blog post, Christine Lagarde, International Monetary Fund chief, explored how the 2008 financial crisis might have differed, or been avoided altogether, with more women in finance roles. If women had overseen investing, they would have made less reckless decisions, she said. Largarde also explored the pressure points that caused the crisis and how innovation was growing too quickly for the time. “Financial institutions – particularly in the United States and Europe – went on a frenzy of reckless risk-taking. This included relying less on traditional deposits and more on short-term funding, dramatically lowering lending standards, pushing loans off balance sheets through murky securitizations, and more generally, shifting activity to the hidden corners of the financial sector that were subject to less regulatory oversight,” explained Lagarde. In a recent survey conducted by Fast Company and Inc., female entrepreneurs were asked about their businesses, demographics, and fundraising tactics. Funding was a big pain point for the women survived which comes as no surprise. In 2017, only 2 percent of venture capital went to companies founded by women. Many of the owners who raised capital said they experienced bias based on gender. “Being an all-female management team, walking into rooms of mostly men and selling them on a female-targeted product was difficult. It took a lot of time to find the right investors—it’s like dating—and I felt we could usually tell early on in the conversation how it was leaning. There were a lot of snap judgements,” said one female founder. Only 15 of the 800 bank chief executives around the world are females even though there has been an increased focus on diversity. 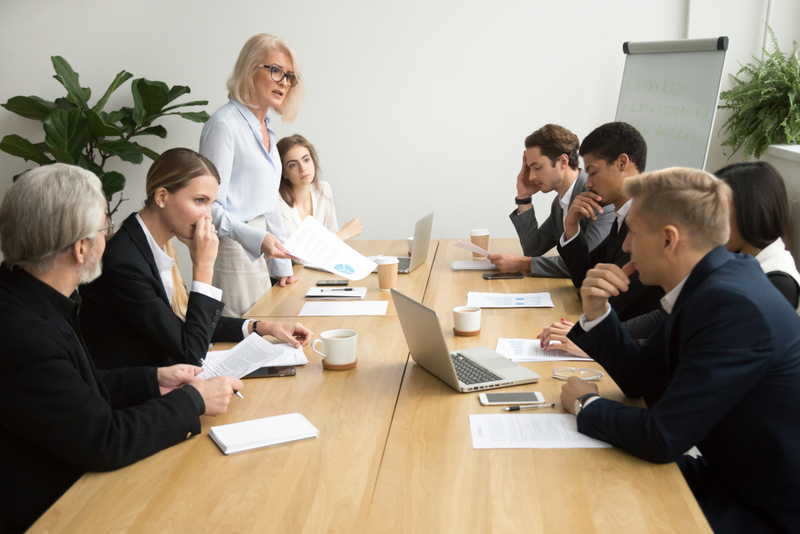 According to an International Monetary study, women are in less than 2 percent of leadership roles and account for only 20 percent of executive board positions. Analysts have offered that for the few women who do climb to the top, it may mean they were better qualified than their average male counterpart who lands in a higher role. “Higher shares of women on banking supervision boards appears to be associated with higher bank stability and higher profitability,” the report found. To stay up to date on all thing fintech, click here. Fintech Today (FTT) brings together experts in financial services technology to discuss innovations in the field and share best practices. From investigating fraud and maintaining compliance to improving customer acquisition and enhancing a customer’s lifetime value, Fintech Today provides Chief Marketing Officers, Chief Compliance Officers, Chief Financial Officers, and customer retention executives in the financial services industry with the information they need to know to keep pace with a rapidly changing field. How does fintech impact human employees?